The Team scheduler has support for employee leaves and company leaves. You can view all leaves on your timeline and easily add leave days to any employee directly in the scheduler. 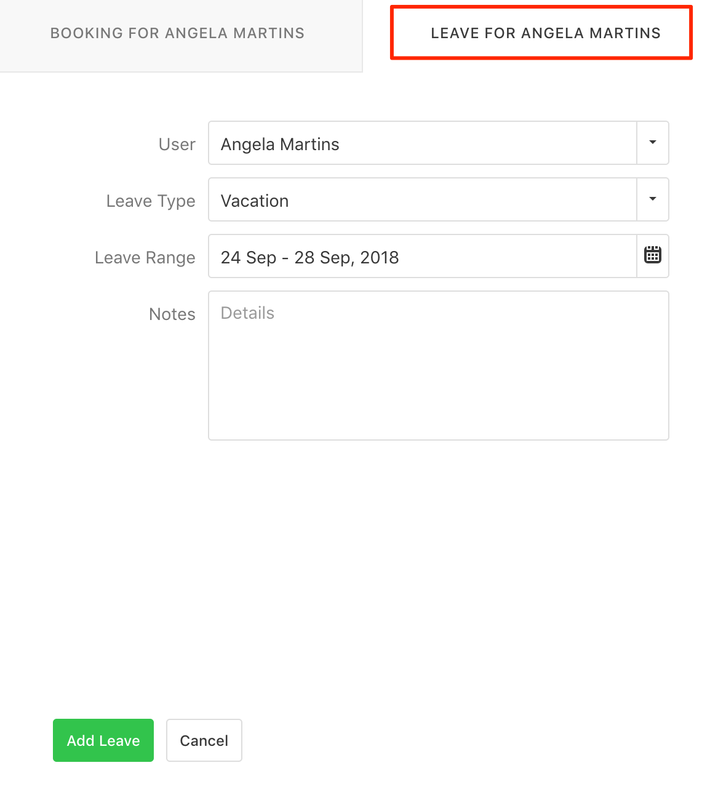 In order to add a new leave you need to click on the desired date and change the view from Booking to Leave. You can select the desired leave type, add some details and set the date range.